Download phpChart Lite (it’s FREE)! phpChart Lite is FREE. It has similar features as the paid versions except it can only support Line chart renderer plugin. And it can only display a single chart on a page. For a limited time, phpChart Enterprise ($299 value), and phpChart Universal ($499 value) are now offered for FREE to phpGrid Enterprise and Universal customers — Interested? Checkout phpGrid Today! By downloading software, you agree to the terms of our license agreement. 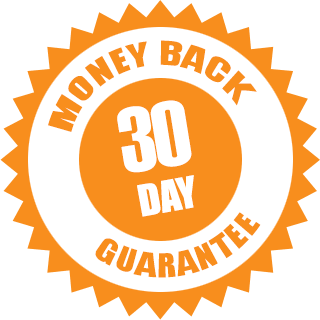 phpChart promises 30-day money back guarantee. If you are not completely satisfied, get your money back. No questions asked. All online purchases are secure. We will email you the download instruction within an hour once the payment is cleared. Lite version only. “phpChart Lite” watermark is embedded in the free Lite version. phpChart Lite supports only default Line renderer/chart type. Paid versions have ALL other additional renderers support such as Pie, Bar, Bubble, Donut, Mekko, Gauge, etc. Lite version can only have a single chart on a page. Paid versions have no such restriction. A single developer license enables one developer to use phpChart for development purpose. The site runtime license is targeted at developers using phpChart in production web sites. One site runtime license is required for each production web site. Eligible number of years to receive free product update/upgrade and technical support. In phpChart Basic and Profession the source code is encrypted and obfuscated for digital distribution. Only in Enterprise license it includes source code. Enterpise users can customize the phpChart to suite users needs. Can be re-distributed to other companies royalty free as part of your product.